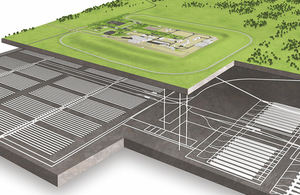 Geological disposal involves isolating radioactive waste in a highly-engineered facility deep underground and within multiple protective barriers, to ensure that no harmful quantities of radioactivity ever reach the surface environment. Across the world, geological disposal, preceded by safe and secure interim storage, is acknowledged as the best solution for managing higher-activity radioactive wastes in the long-term. The consultations will explore views on the approach to planning and selecting a site for a Geological Disposal Facility (GDF) in partnership with potential willing host communities. You can have your say on the draft policies by responding directly to BEIS or Welsh Government through their dedicated consultation websites. If you are resident in England or Northern Ireland you can participate by visiting the BEIS consultations portal. For Welsh residents, please visit the Welsh Government consultations portal. The consultations will be open for 12 weeks.